Gregg Braden gives an incredible presentation on the power of the heart. How to attract whatever you want into your life: Dr Wayne Dyer. Dr Wayne Dyer talks about how you can attract whatever you want into your life and how he believes we are all spiritual beings having a human experience. http://www.holisticrejuvenate.com/wp-content/uploads/2013/04/holistic-light-logo-web.png 0 0 Ronnie Roper http://www.holisticrejuvenate.com/wp-content/uploads/2013/04/holistic-light-logo-web.png Ronnie Roper2016-03-08 06:48:522016-03-08 06:48:52How to attract whatever you want into your life: Dr Wayne Dyer. Lynne McTaggart, an investigative journalist, and editor of the newsletter “What Doctors Don’t Tell You,” began work on “The Field” four years ago as a personal quest. Her research took her to many areas around the globe, meeting with top frontier scientists in Russia, Germany, France, England, South American, Central America and the USA. During these meetings, she saw what these scientists were working on and it seemed to overthrow the current laws of biology, chemistry and physics. Their theories and experiments also compounded into a new science, a new view of the world. Lynne McTaggart is the author of five books, including The Intention Experiment and the international bestseller The Field . She also runs worldwide Living The Field master classes and groups which are designed to help people adapt the ideas of the new scientific paradigm into their everyday lives, She was featured in the wildly successful cult classic movie What The Bleep!? Down The Rabbit Hole . And has become an international spokesperson on alternatives to conventional medicine. The Institute of HeartMath (http://www.heartmath.org) shares fascinating understandings of the human heart as explored in more than 20 years of its research. The ‘Did you know’ facts are lesser-known gems of information to enlighten curiosity on how your own thoughts and emotions are affecting yourself and others. McCraty said that the true nature of human emotion is one of care and love. He said HeartMath and other research shows that by focusing on these core heart-felt emotions, it can enhance one’s connection with others, and that this connection extends far beyond the individual. Learn more at http://on.fb.me/explore-IHM where you can also download a free ebook. A Discussion: What Is Consciousness and Why Do You Have It? Consciousness is understood by most people as being aware, but there is a lot more to consciousness than just being in a state of awareness. Consciousness is one of the hardest things to define because of its mysterious and metaphysical properties. At your current state of evolution, it is impossible for you to understand all the aspects of consciousness. However, you can still understand a portion of it by study how it affects your perception and the structures of reality. In simple terms, consciousness is basically energy. How could that be you may ask? To understand how consciousness and energy are basically two of the same thing, you need to study the effects of particles. To help you comprehend this concept, we need to turn our attention to a famous scientific experiment done by a group of scientists at the Weizmann Institute in Israel. This famous experiment is known as the “double slit” experiment. In the double slit experiment, scientists shot some electrons through two slits and discovered something strange about the properties of electrons. They found that electrons could simultaneously be in a wave and particle state. The strange thing about this experiment was that when the electrons were shot through the two slits without anyone watching them, they produced an interference pattern and therefore they weren’t particles but were actually waves. On the hand, when they were observed, they went through the slits as particles; thus, the interference pattern was diminished. If you are confused, watch the short video at the end of this article and it should help clear things up. The double slit experiment showed evidence that particles and molecules are conscious to some degree since they are aware. Some scientists have taken this experiment further and found that the unified field in which reality exists and grows in is even more conscious. The more they examined the deeper layers of the unified field, they realized that it was more aware, conscious and intelligent than particles. Since matter doesn’t really exist beyond the subatomic level, it is logical to say that it must be energy that is conscious! Once we connect the dots and take a step back and look at the big picture, consciousness and energy are basically the same thing. When we break matter down to the level of particles, it becomes mostly empty space. The remaining space that seems to be not empty is actually made of energy. In other words, everything in the Universe is made of energy. Do you still remember the definition of energy in high school physics? Energy is a “substance” that can’t be created or destroyed. It can only be transformed from one form to another. Since everything is made of only energy, then it is energy that is conscious, not the matter-based brain. Why Do You Have Consciousness? The main reason why you have consciousness is to be aware that you are alive. However, there is a lot more to it than just being aware. To have a better understanding of why you have this intelligent energy, you need to study the different layers of the mind, such as the subconscious and conscious. The subconscious state is where the mind is in a dream-like free floating state. It is the safe deposit box of all your memories and experiences, good and bad. It stores feelings and impressions created by all the experiences in your life. This state of mind operates below your conscious awareness, which is why you aren’t usually aware of its activities. Most of the information about your environment is processed by your subconscious, which is why you don’t see your environment as energy. Instead, you see it as solid objects with beautiful colors and textures. The state of your mind that you are consciously aware of is the conscious mind. This state allows you to be aware of your conscious thoughts and actions, giving you perceptions of your environment. Unlike the subconscious mind, the conscious mind translates how you sense your environment based on logic, facts and figures. The conscious and subconscious mind work together to allow you to sense the world in a way that you can understand. Your consciousness is what gives you the ability to become aware of your environment. It is your consciousness that dictates your actions and its subsequent consequences. It is what makes you alive and therefore it is the essence of who you are. Without consciousness, you and your reality will cease to exist since everything is made of this intelligent energy. http://www.holisticrejuvenate.com/wp-content/uploads/2014/02/conscious-image.jpg 322 600 Sundi Sturgeon http://www.holisticrejuvenate.com/wp-content/uploads/2013/04/holistic-light-logo-web.png Sundi Sturgeon2014-02-10 07:27:042014-02-10 07:27:04A Discussion: What Is Consciousness and Why Do You Have It? Brain synchronization refers to a process, leading to a state of mental clarity and deep awareness which happens when the right and the left hemispheres of the brain are synchronized. During the process, the right brain and the left brain hemispheres work in close partnership with each other. This is referred to as brain synchrony or hemispherical synchronization. It usually occurs as a result of production of the same brainwaves by both sides of the brain. The left hemisphere is associated with logic and speech, while the right hemisphere is associated with emotions and creativity. When the two hemispheres are synchronized, the brain performance significantly improves and the person is happier, healthier, more optimistic, energized and more clear-minded. What are the benefits of brainwave synchronization? Happiness boost: An increase in chemicals that stimulate happiness in the brain such as melatonin, DHEA, and serotonin which enhances the level of happiness in an individual. Strength boost: At this state, you naturally forget your weaknesses, as they move in the background while your strengths become the point of your attention. This is an empowering state that allows for unleashing of your potential and focusing on growth. When hindering habits of thought and mental blocks are not governing the state of mind, decisions can be taken from a position of clarity and strength. What may have seemed impossible before, is not only a possibility from the stands of strength but also ways to achieve it become more evident. Body relaxation: During the process, the body shifts to a peaceful and relaxed state, and the mind slows its level of incessant thought noise. This relaxed state of the body is very beneficial and healthy. It reduces the stress levels and allows the body to perform its natural healing processes in an efficient way. Consciousness expansion: Another benefit of brainwave synchronization is that it enhances self-consciousness. During the brain synchronization state, you are in a condition where you are sensitive to matters happening around or within you. One way to achieve brainwave synchronization is through brainwave entrainment audio. Brainwave entrainment refers to the brain’s electrical response to rhythmic sensory stimulation, such as pulses of sound. When the brain is given a stimulus, through the ears, eyes or other senses, it emits an electrical charge in response, called a cortical evoked response. The two hemispheres are stimulated with specific frequencies to produce the synchronized pattern. Increased levels of synchronization are found naturally with experienced meditators and people who have found ways of becoming highly content with their lives. Please visit as at http://www.brainwave-meditation.net for a free MP3 download. Brain balance or brain synchronization is when both the left and right hemispheres work together; simply put they work in synchronicity. Usually one hemisphere dominates over the other. The left side of our brain is the logical or analytical part of the brain while the “right brain” is more intuitive and emotional. Someone with a dominant “left brain” may be very good at Math and Accounting and may easily accomplish putting things in a step-by-step format. Ask the same person to do anything creative like painting, drawing or song writing and that becomes a challenge. Thinking out of the box can be a challenge. This is easier for a person that is predominantly a “right brain” thinker. They are usually more intuitive, emotional and often more creative artistically. However, they are sometimes weaker at things like Math, Accounting and systemization, their problem solving skills may be all over the place. The negatives of not having Brain Balance Well, when both sides of the brain are not in the habit of working together, “mind arguments” are created. It’s that constant mind chatter of doing what makes sense and what feels right. I’m the first to admit what a horrible feeling this is. You feel disconnected from yourself and your environment. This feeling can very quickly cause stress, self-doubt, confusion, anxiety and even depression. A Quick Self Test So what’s up with your “brains”? If you’re not sure let me ask you this, “Are you happy”? If you are happy, ambitious, focused and confident then both your left and right hemispheres are happily working together. But if you crawl of out of bed ever day, unhappy to wake up, and you worry and stress about pretty much everything…work, family, money, your future…add to that a dash of anxiety and a pinch of self doubt and I’d say your brain is lateralized. You may argue that I am describing the majority of people in this world and that it’s pretty normal to live with stress, anxiety, self-doubt and unhappiness. Yes, I am describing the masses and no, it is not normal to live a life filled with all of the negative things mentioned. The Benefits of Brain Balance or Brain Synchronization The brain starts to create happy chemicals such has DHEA, serotonin, melatonin and acetylcholine. These chemicals help you feel better, sleep better, prevent disease, fight aging and enhance memory and learning. This helps you stay clear of that negative vortex. It helps you stay and keep positive, focusing on your strengths and caring less about your weaknesses. It’s easy to be optimistic which makes it easier to accomplish the things you want in life. A balanced brain or a synchronized brain means having a balanced and synchronized life. It’s a far cry from living with worry, stress, anxiety, and doubt which all leads to being tired and unhappy. 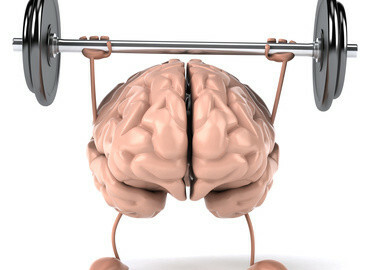 How to gain or maintain brain balance? 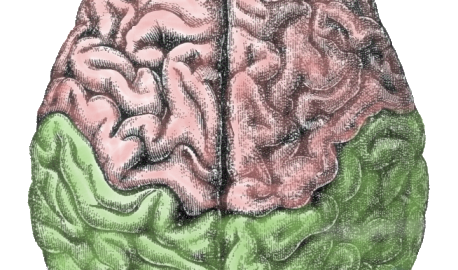 Meditation is a quick way to getting both sides of the brain working together. Using brain wave entrainment products is probably the quickest way of all and there is a lot of scientific research to back that up. The brain quickly starts creating the alpha, theta and delta waves which produce all those happy chemicals, and with time the brain strengthens and can create these brain waves on it’s own. Training the brain to create these brain waves helps create brain balance. Boosting Cellular Energy By Terry Shintani, M.D.